﻿23-13. 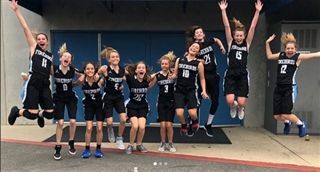 The following day, the Firebirds were flying high with confidence and beat the winner of the South Championship, La Jolla Country Day School. At the end of a nail-bitingly close game, with only 11 seconds left on the clock the Firebirds scored 2 points to beat LJCDS 29-27. Way to go, girls!